Organised since 1927, the International Frederic Chopin Piano Competition is one of the oldest and most prestigious competitions in the world devoted to the music of the great Polish composer. The International Frederic Chopin Piano Competition takes place every 5 years and is always held in October, in part to coincide with the anniversary of the lauded Polish pianist’s death on October 17th, 1849. 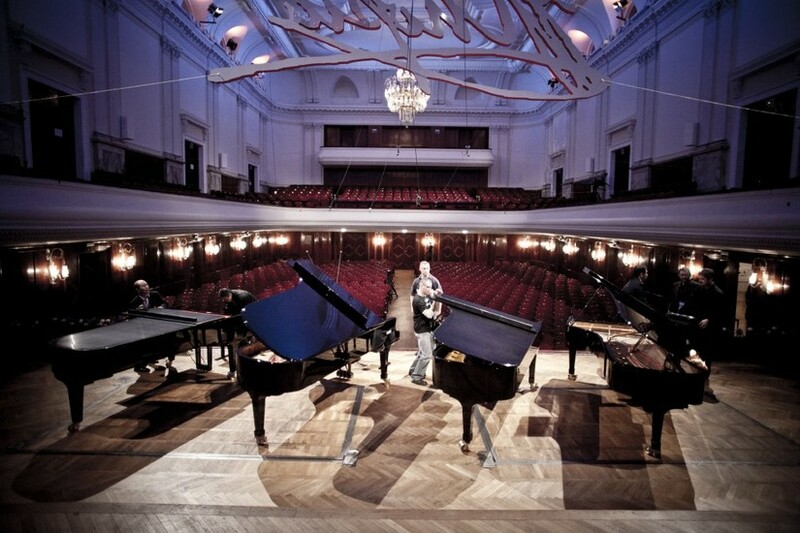 Over the course of four stages the pool of pianists are narrowed down, with about half of the competitors eliminated in each stage, culminating in 10 pianists performing in the final stage. For the first three stages of the competition pianists must perform several obligatory pieces plus choose from an assortment of other pieces to create their own individual Chopin performance repertoire. In the final stage of the competition each finalist must choose from one of two Piano Concertos (Op. 11 in E-minor or Op. 21 in F-minor) to perform, accompanied by the Polish National Symphony Orchestra. There are many traditions that develop over time in a competition with so much history and pedigree. An interesting and somewhat nerve-racking ritual is the official choosing of the concert piano by each of the competing pianists. This year, each pianist was given exactly 15 minutes to choose one of four grand pianos that will become their instrument throughout every stage of the competition. While this may seem somewhat trivial, choosing the right piano is absolutely crucial for some pianists and it is not a process to be taken lightly. Some pianists strongly prefer certain instruments for their feel and overall sound, and indeed some like to put their head under the hood and poke around. Other pianists know exactly what instrument they want and spend their coveted quarter hour practising their pieces. For piano enthusiasts it might be interesting to note that earlier editions of the competition featured instruments ranging from Bechstein, Bösendorfer, Pleyel and Steinway. It will probably come as no surprise that Steinway grand pianos are the only ones to have appeared in every edition of the Chopin Competition. 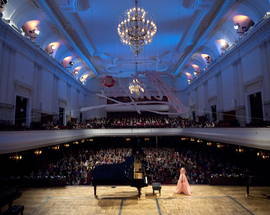 The International Frederic Chopin Piano Competition is unique in the world of classical piano competitions for a number of reasons, but perhaps none greater than the competition’s namesake himself. The music of Chopin, while incredibly technically difficult to perform, possesses deep emotional qualities that lend it to unique and often dramatic interpretations by soloists. The format also allows each individual competitor to choose a repertoire that best allows them to express their own personality and present their own interpretation of Chopin’s music. The competition has indeed seen many electrifying and moving performances over its long history that have often moved audiences and jurors to tears. In 1980 the jury itself was so split over the controversial interpretations of Yugoslav pianist Ivo Pogorelić that two of the members of the jury quit in protest when the pianist failed to advance to the final round. Artistic interpretations aside, at its very heart this is a pure competition and much like the plague of musical talent shows that crowd the airwaves these days, the stakes are quite high and the rewards real. 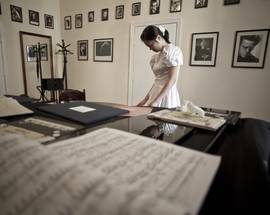 Not only are there significant cash prizes (€30,000 1st prize, €25,000 2nd prize, €20,000), but the Chopin competition has been a perennial springboard for launching the international concert piano careers of many of its grand prize winners and finalists alike. In addition to the main prizes there are also awards given for the best performances of a Polonaise (€3,000), Mazurkas (€5,000), Concertos (€3,000) and Sonata (€10,000). 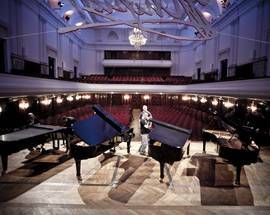 The Sonata prize is personally funded by Polish pianist and former Chopin Competition winner Kristian Zimerman (1975), which sheds some light on the nature of the prize and its fraternity. 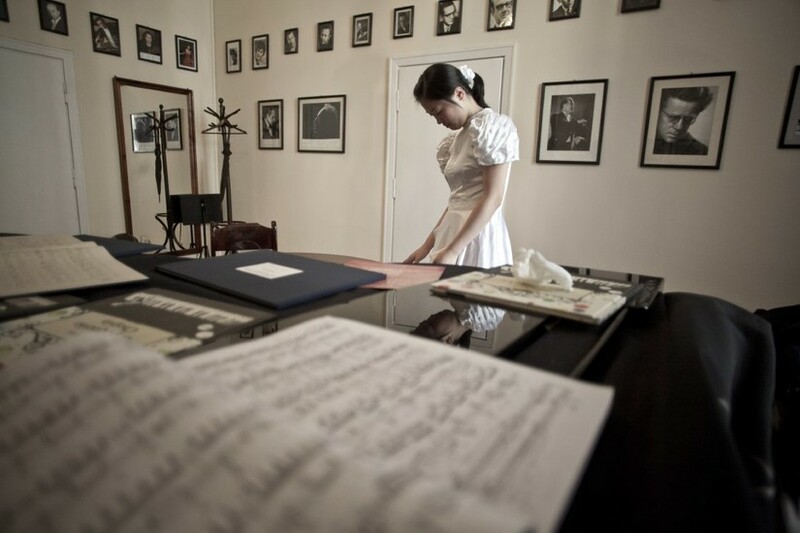 Thanks to The Fryderyk Chopin Institute you can see a whole host of video snippets of performances throughout the years, and even pianists explaining their personal relationships with the composer's music. We highly recommend visiting the institutes official Youtube Channel to watch them. 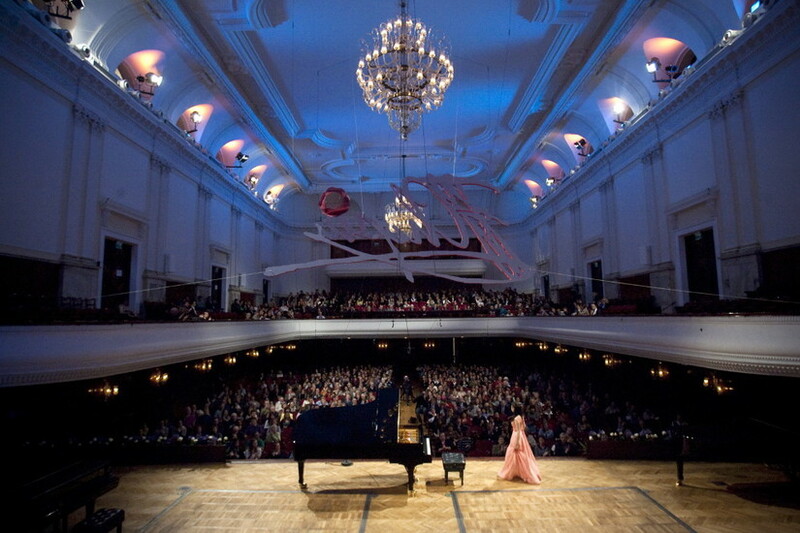 The Chopin competition presentations are beautiful in in their own right, but they are also accompanied by other concerts around Warsaw as well as opera and ballet performances, informational meetings, panel discussions and exhibitions. 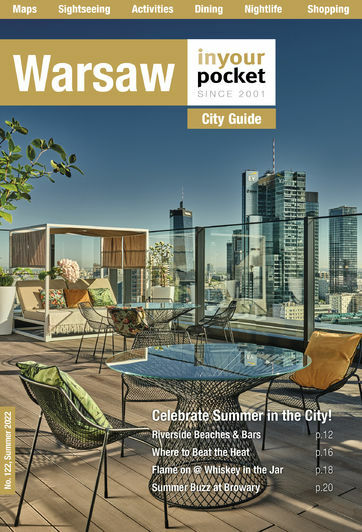 But you need not wait 5 years to enjoy Chopin's Warsaw, anytime is a great occasion to visit the Frederic Chopin Museum and his birthplace Żelazowa Wola, and of course you can read more about Chopin’s life and music in our linked features below. The Chopin must go on!